FIFESTOCK MUSIC FESTIVAL 2015 DENNIS LOCORRIERE. In an evening of unparalleled intimacy, these handful of solo shows will take the audience, in story and song, through his entire career, performing popular selections from his ‘Hook days’ as well as new favourites from his solo albums. For those very few who may not be acquainted with the man or his music (where have you been?) 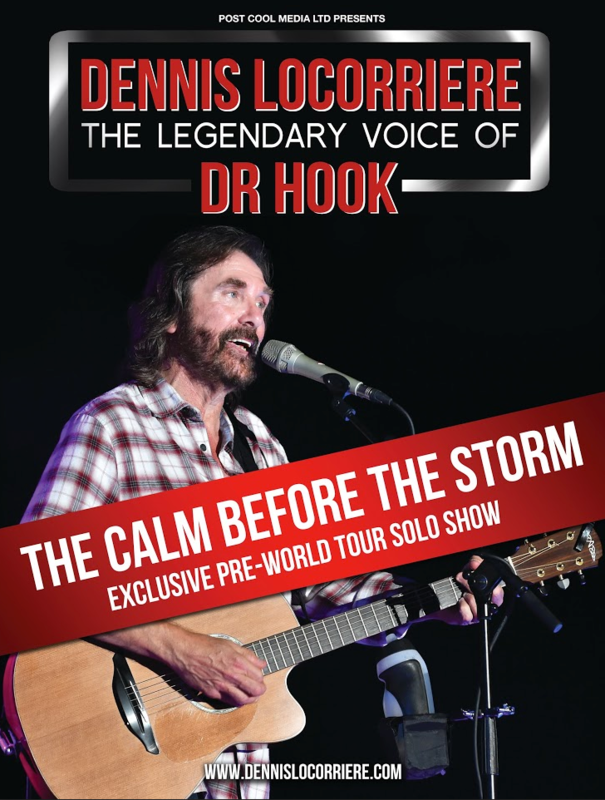 Dennis Locorriere is a founding member, lead vocalist, guitarist and songwriter for the internationally popular multi-million selling band, Dr Hook. In the 15 years the band was together, Locorriere and Dr Hook toured the world, playing to record breaking crowds, receiving gold and platinum singles and albums everywhere they went.